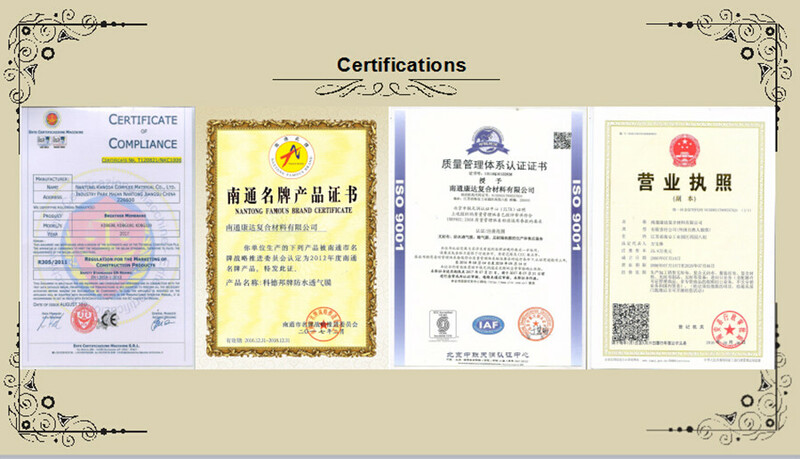 Nantong Kangda Complex Material Co.,Ltd is a solely-owned enterprise. Its establised in 2004.Our factory occupies 20,000 square meters with modern standardize workshops and advanced fabric coating machinery. 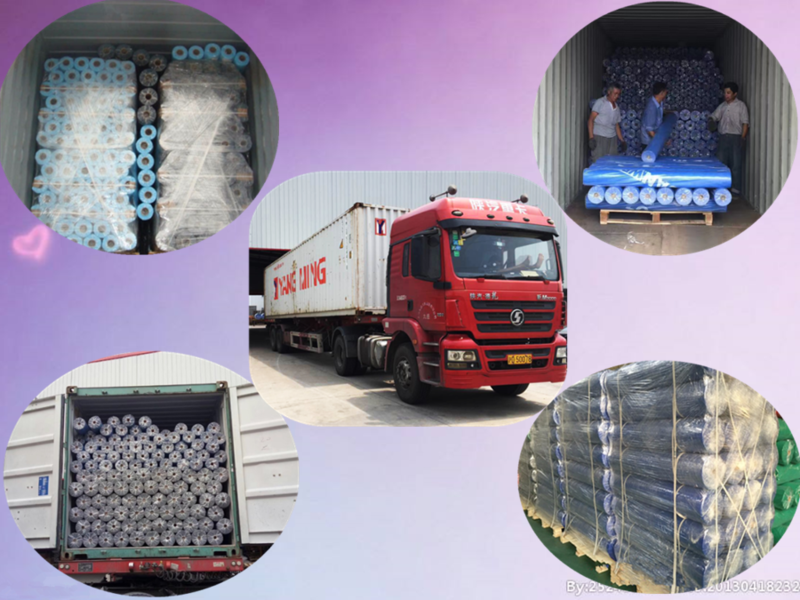 We are the largest manufacturer and exporter of membrane in China,we sell it to Europe and USA. And our own brand Kedebon is very famous in China's Market.Currently most factories can only supple 1.5m and 1.2m membrane,but our company has wide production line,our max width may reach 3.2m just like Dupont Tyvek. 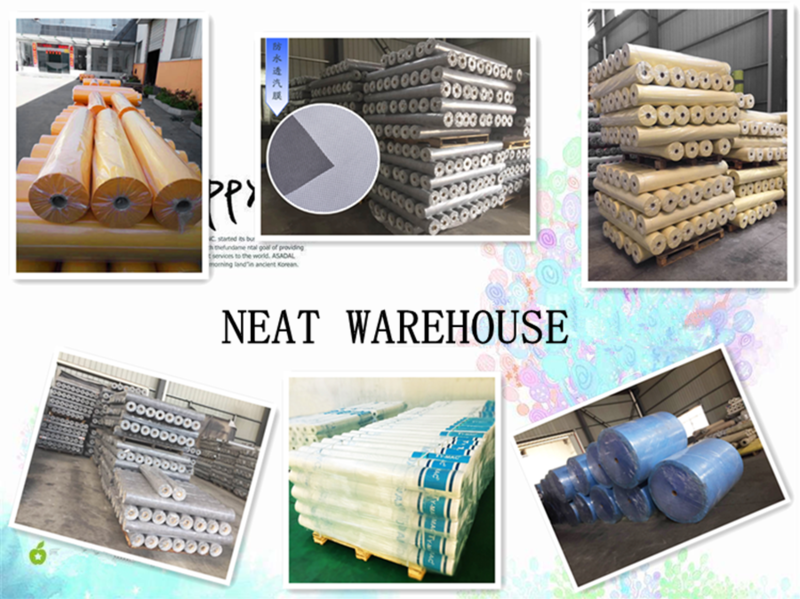 Our factory specializes in the production of non-woven fabric,breathable waterproof roofing membrane,roofing underlayment,house wrap memebrane,SMS fabric,PE coating non-woven fabric.reflection waterproof membrane. 3.2m high permeable waterproof breathable roofing underlay membrane is a three layer highly breathable, fully waterproof membrane, constructed from high tensile spun-bonded polypropylene layers, with a microporous polypropylene film inside. The middle layer is the breathable waterproof membrane, and the outer layers protects the membrane from abrasion and damage, also giving additional strength. This enables the fabric to allow moisture vapour to pass through it to the outside, whilst remaining fully waterproof. 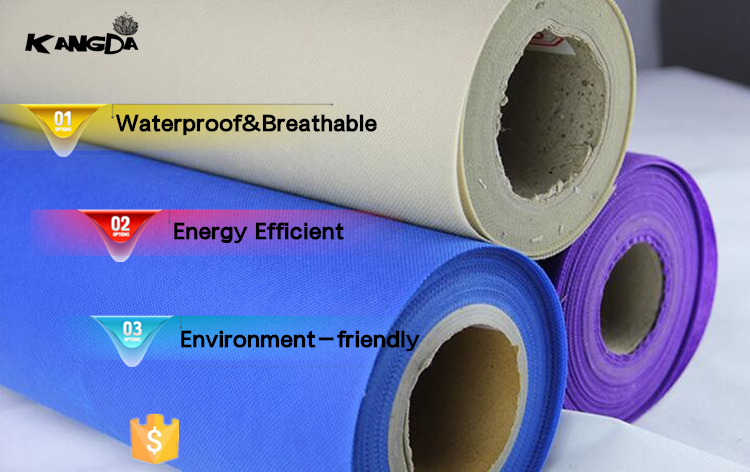 3.2m high permeable waterproof breathable roofing underlay membrane is waterproof and breathable, air permeable. It is widely used in construction for roofing felt and underlay. We've established business relation with clients from UK, USA, UA, Italy, Greece, New Zealand, Germany, and so on. 3.2m high permeable waterproof breathable roofing underlay membrane with logo is commonly used as waterproof underlay beneath the roof covering, which impervious to any wind driven rain or snow that gets blown through the roof covering, even when in direct contact with timber rafters and insulation. Meanwhile as they are vapor permeable, allow the roof structure to breathe, so the moisture from leakage and condensation can escape, to avoid mold and rot of fiberglass or cellulose insulation, so won’t lose its R-value due to heat-conducting moisture. 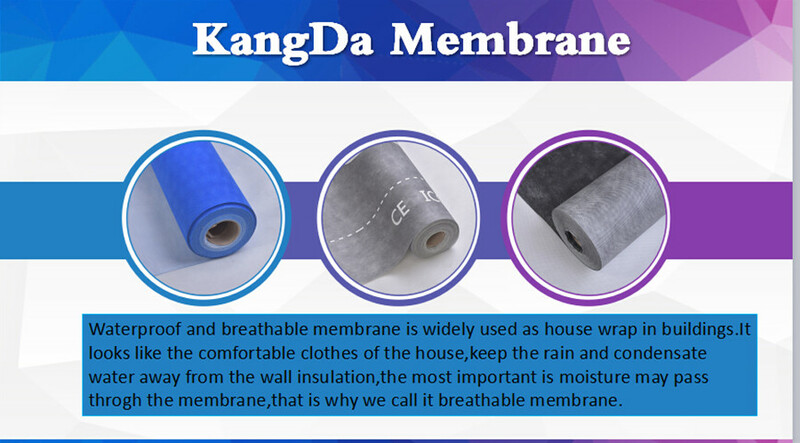 3.2m high permeable waterproof breathable roofing underlay membrane also can be used as house wrap, a wall underlay membrane which functions as a weather-resistant barrier, preventing rain from getting into the wall assembly meanwhile allowing water vapor to pass to the exterior. 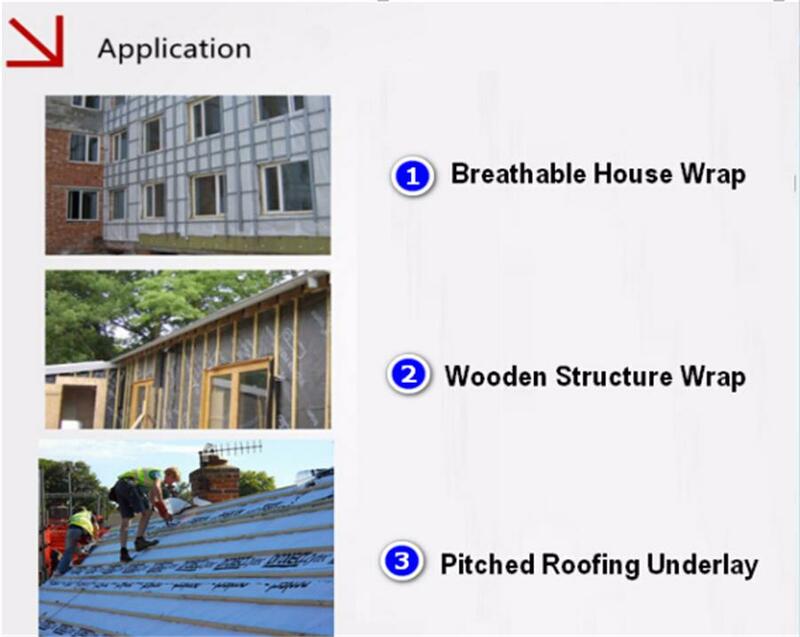 They may also act as windproof layer (Air barrier), reducing air leakage through the building envelope, ensuring insulation materials maintain their thermal efficiency by minimizing air infiltration. Q:Can I have samples about your underlaing membrane? A:Yes, Please contact the sales manager to get the samples. Q:Can I have our own Logo and design? 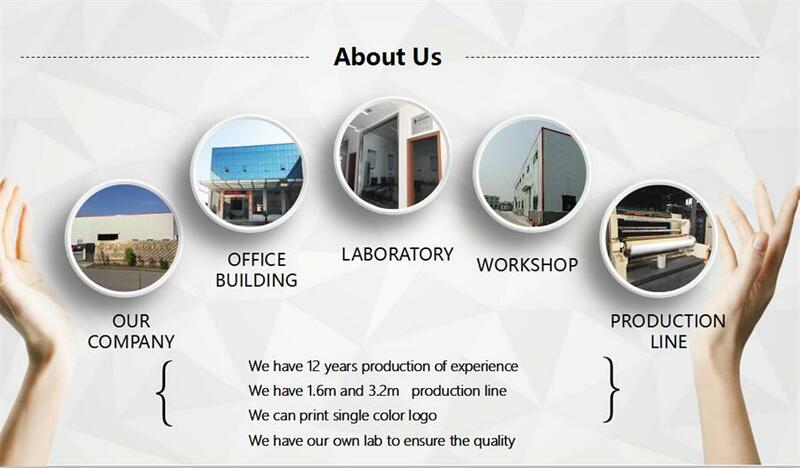 A.Yes, OEM and ODM are warmly wecomed.We have three printing machines for your logo printing. Q:What's the quantity of membranes fit in the containers? Q:Can I have a trail order? A:Yes, Please contact us to discuss the details. Q:Are you the factory or a trading company? A:A factory over 10 years located in Nantong City,which is 2 hours driving to Shanghai. Q:Can I visit your company to verify the factory? A:Yes,you are welcome to our factory and we can meet in Shanghai too if you have no spare time in China.